I didn't think I would be participating in this month's blog train because the color palette kind of threw me off. Unlike what I usually do, I used just the few colors that appealed to me. So here is my part of Pixel Scrappers Sept. 2018 Blog Train. 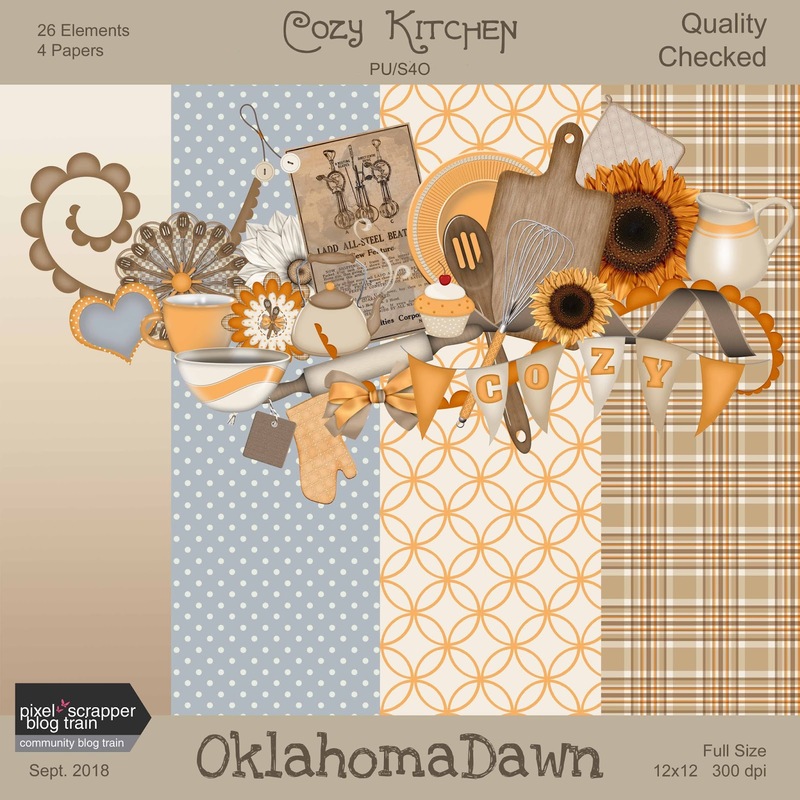 As always, I have several papers and elements that didn't make the final cut for this mini kit; they are available free at Pixel Scrapper under the "Commons" tab. 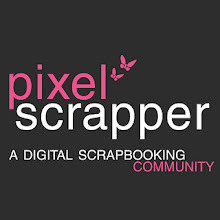 Membership at Pixel Scrapper is FREE and give you access to download thousands of free elements, graphics and papers! HERE is the link to the blog train list. As always, a beautiful kit. Thank you. Thank you so much for the super addition to the PS Cosy Kitchen Hop! Thank you so much for your great contribution to the Cozy kitchen blogtrain! I missed downloading the blog train last month. Thanks so much for leaving your links up -- your mini & all the addons are so cute! Thanks for sharing your creation!